This is a Civil War-era parade tack set that belonged to General George Stannard. He probably had most of it made as a matched set after the war. Stannard was in command of the Vermont Brigade, several regiments that were positioned at the wheel point of the Union line on the third day of Gettysburg. Some of his historians argue that it was his quick thinking in swinging two of his regiments to send enfilading fire into Kemper’s Confederate brigade that ultimately signaled the death knell for Pickett’s Charge. I got to spend some time examining the condition of the tack as well as giving much more specific information about the pieces that were included so that they could be more thoroughly described in our system. In this one I’m taking a closer look at the stitching on the saddle covering. The underside was lined in a really interesting floral fabric and the whole thing was handstitched. And here I’m taking a closer look at a padded seat saver that was attached to the saddle. The saddle underneath is a pretty typical McClellan cavalry saddle, and they’re not the most comfortable things. Stannard had a custom leather cover for the seat that was padded with wool or felt. 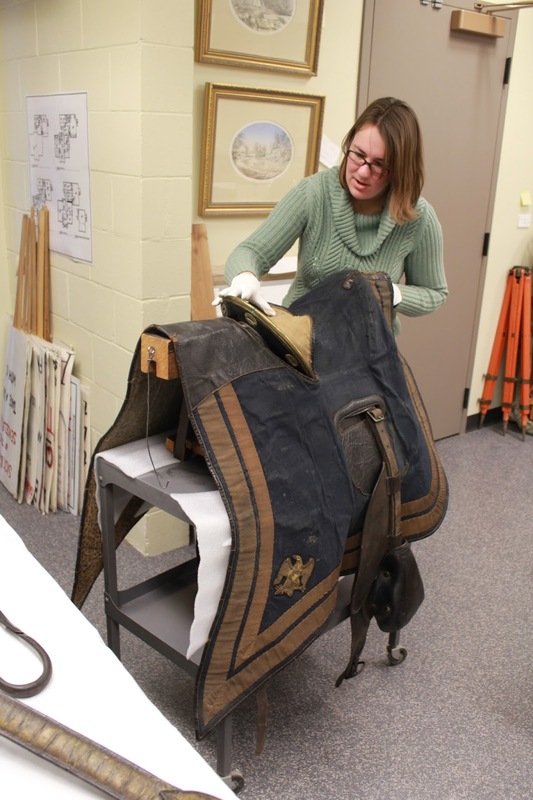 The set also included a crupper, padded breastplate (you can see a strap of it in the bottom left corner of the second photograph), matching bridle, running martingale, and saddlebags. It’s faded now, being 150+ years old, but the leather was still in pretty good shape, and it must have been something spectacular when it was new. I also got to design a new saddle rack for this and for another sidesaddle that we have. This is not a typical part of my job, but it’s going to become more common and I’m excited! Wow! That's so neat. I'm a history buff and a horse lover…this would be heaven for me, ha! This is so cool! 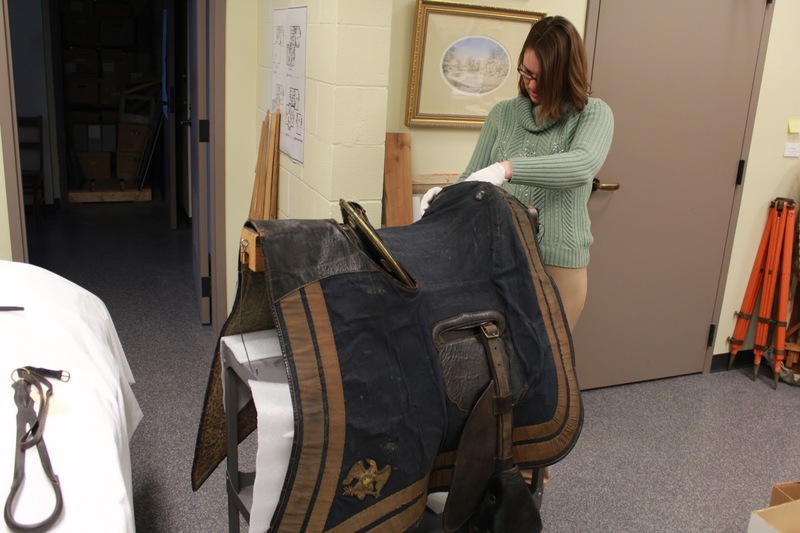 I love seeing historical saddles/tack!